GamerTagRadio has posted Episode #105 of their weekly podcast, which includes a phone interview with Arena's excutive producer, Sean Penney. They cover a wide range of topics over their fifteen minutes on the game. 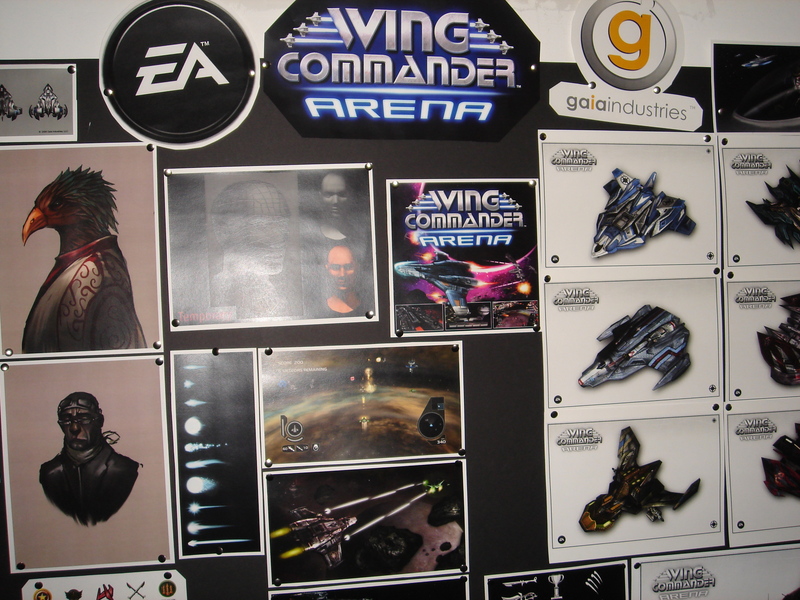 The interviewers are very familiar with Gaia Industries, and they comment on the Wing Commander concept art that they saw during the recent Street Trace NYC event. Sean talks about how Electronic Arts ended up choosing that particular developer to work with, and he goes into quite a bit of detail on Arena's maps, modes, achievements, social interaction, Wing Commander lore and more. GTR's original podcast post is available here. The Wing Commander bit starts about 20 minutes in, or you can listen to it here (12.2 meg MP3). A big thanks to AD for processing the clip and helping us find news like this! We had the chance to interview Sean Penney from EA about their new Xbox Live Arcade game "Wing Commander Arena". Get to hear why this game is different then other XBL Arcade titles and are you ready for a 16 player deathmatch online?